No entertainer enjoyed greater popularity in American life than comedian Bob Hope. Beginning his career in vaudeville, Hope combined a rapid-fire delivery with an encyclopedic memory for jokes to become one of the best ad-libbers in show business. Everything seems out of whack in Al Hirschfeld’s 1975 portrayal, drawn for NBC to celebrate Hope’s contributions to the network. But Hope did stretch his chin sideways, leer mischievously out of the corners of his eyes, and arch his eyebrows to ridiculous heights. 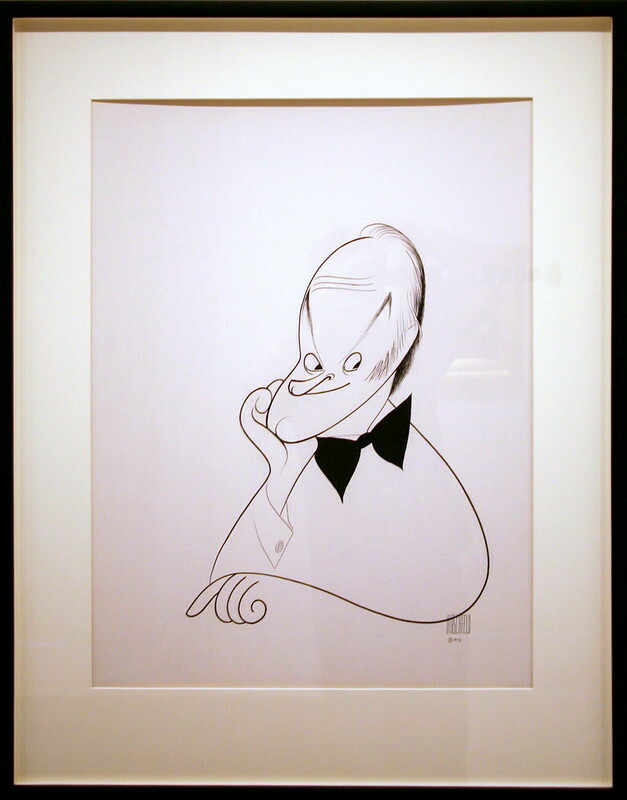 In addition to keen characterization, Hirschfeld implies a sense of movement, as if those whiplashing lines will soon explode and turn into someone else. The caricature conveys Hope’s own lively, unabating joy in performance that ensured his popularity. "I feel better when I come off the stage than I do when I go on," he once admitted. Image published by cliff1066™ on 2009-02-24 21:30:33 and used under Creative Commons license.